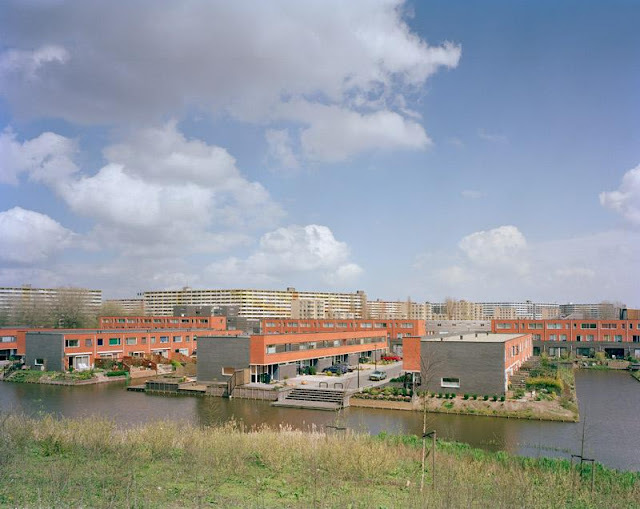 Last week I saw some interesting information at the International Architecture Biennale Rotterdam (IABR) about the so-called Privately Owned Publicly-Accessible Spaces (POPS). POPS are a specific type of open space which the public is welcome to enjoy, but remain privately owned and maintained. What are the pros and cons of these POPS? At the exhibition a copy of 'The Urban Design Guidelines for POPS' by the city of Toronto caught my eye. "As Toronto continues to grow, there is an increasing need and demand to revitalize existing parks and open spaces as well as to create new parks and open spaces. In order to provide this much needed open space within Toronto’s dense urban landscape, the City often negotiates with private developers to include POPS as part of the development application and review process.” With this colorful document the municipality tries to provide “guidance on the location, programming and design of these spaces so that they contribute to the City's overall open space network in a meaningful way”. The purpose is to influence design direction and to facilitate discussions between City Staff, local residents and the development community in the location. In the overall scheme of things, the City is clear about the function of POPS: “The municipality sees these POPS complementary to the existing and planned publicly owned parks, open spaces and natural areas, not replacing them". They also made a map for residents where to find them (similar maps are available of Seattle, New York and Rotterdam). The great thing for an urbanist is that the document gives you some useful guidelines how to make interesting and working public spaces: making connection with other open spaces; avoid fragmentation; embracing pedestrian movement and comfort; taking into account sunlight and wind conditions; animate the street with active uses; ensure heritage resources are visible; making clear sightlines. The document also makes a distinction in different open space typologies (courtyards, plazas, gardens, walkways, forecourts, boulevards, publicly-accessible interior pedestrian connections) and gives a series of preferred conditions for each type. 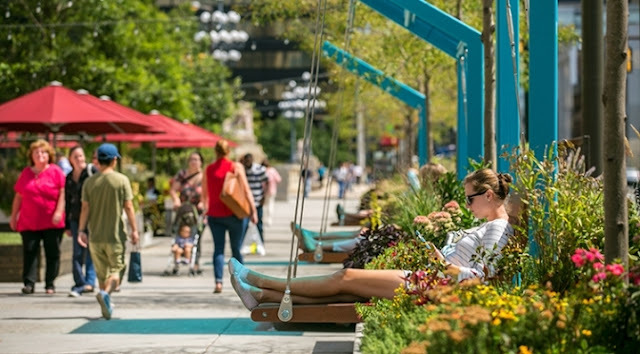 And it provides tips on high-quality, durable amenities such as benches, public art, paving, movable chairs, lighting, bicycle racks and waste receptacles (for more examples and tips you can also read this article about placemaking). L: “OK, your job is to policing the streets and dealing with crime, not jumping when some private corporation turns up and says ‘we don’t want people filming’. No crime is being committed." P: "Could you please contact Westfield"
L: "I’m not contacting Westfield. When we gave permission to build this [shopping mall] we arranged that this is a public thoroughfare between Stratford and the Olympic Park. We were not being told that there will be bans on people going through or on filming or anything like that." The POPS, in England an abbreviation of Privately Owned Public Spaces, are therefore increasingly questioned. Besides the Olympic Park this concerns for example London’s Canary Wharf and the Broadgate development. These public places are now governed by the rules of the corporations that own them. The proposed Garden Bridge, popular on social media, will probably be plagued by corporate restrictions (despite of using £60m of public money to build it): cyclists would have to dismount to cross while social gatherings, playing musical instruments, making a speech, releasing balloons and many other pursuits would be banned (Townsend, 2016b). This February campaigners gathered outside City Hall to protest at corporate takeover of streets and squares. In the above video author Will Self calls it "monetizing" and "alienating" the space. One of the other campaigners is geographer and urbanist Bradley L. Garrett (2015). In his opinion public spaces should have some form of chaos and spontaneity. The POPS have a lack of this energy: “They feel too monitored, too controlled, to allow this communal activity to simply unfold. […] When space is controlled, and especially when the public is unclear about what the legal or acceptable boundaries of activity are, we tend to police ourselves, to monitor our behaviour and to limit our interactions, especially after embarrassing confrontations with security.” So, one can say that the resistance to the privatisation of public space provokes a deeper question (Townsend, 2016a): Who has rights to be where, when and how? In New York the first privately owned public spaces appeared in 1961 when the municipality introduced an incentive zoning mechanism offering developers the right to build 10 square feet of bonus rentable or sellable floor area in return for one square foot of plaza, and three square feet of bonus floor area in return for one square foot of arcade (Wikipedia, 2016). Inspired by the work of pioneering urban observer William H. Whyte and his Street Life Project, City officials already adopted zoning amendments in the 1970s that placed greater demands on POPS, including requirements for seating, landscaping, bike racks, drinking fountains, and identification plaques. Use and enjoyment of spaces produced under these “heightened” rules increased significantly (APOPS|MAS, 2012). The enhancement of standards continued through the administration of Amanda Burden in the Department of City Planning, with new rules introduced for public plazas in 2007 and 2009. In his book about POPS in New York Harvard professor Jerold S. Kayden (2000) comes to two major conclusions. First, although the zoning deals produced an impressive quantity of public space, 41% of these spaces were of ‘marginal’ quality. 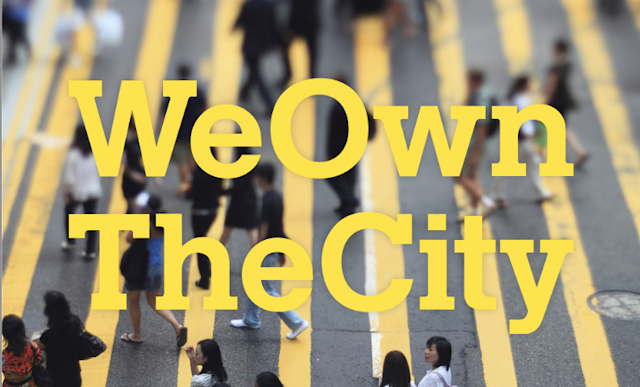 Second, a significant number (around 50%) of owners illegally privatized their public spaces. Kayden and his organization ‘Advocates for Privately Owned Public Space’ are working with the Municipal Art Society of New York to promote creative stewardship of the city’s POPS. They seek to invigorate new and existing POPS by sparking constructive action-producing conversations among city residents and employees, POPS owners, public officials, and everyone else hoping to realize the promise of POPS. On their website they invite people to participate in the creation of knowledge designed to secure greater public use of POPS. The website provides a foundation of legal and other information about the location and features of all POPS. Half a loaf is better than none? So, how to judge this POPS. Proponents of these semi-public spaces point to the fact that most of the spaces where inaccessible Brownfield sites in the past. 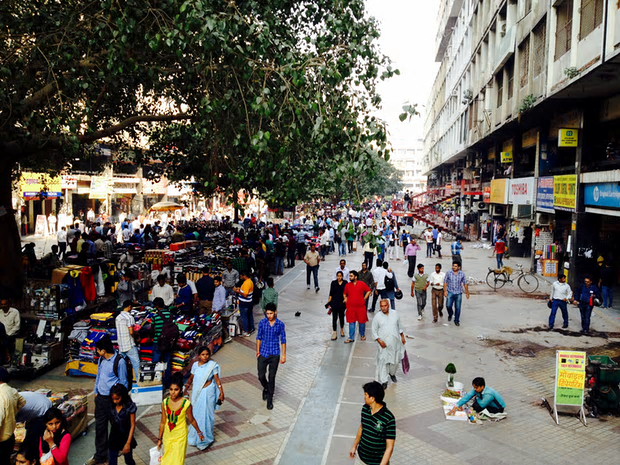 The corporations are not buying up existing public spaces, they complement it. And they invest a lot of money in these spaces which will otherwise should be paid through taxes. The City of Toronto tries to open up previously inaccessible areas of private owners to the public. The guidelines gives them some possibilities to influence the design process and to ask for specific attention for open spaces. In order to avoid that the public spaces become the "left over" space on a site after the building has been programmed, located and designed. Critics see it differently. In the London video author Will Self says we don't need to see this POPS as a good alternative to closed or badly designed private spaces. "Why does it have to be the alternative? [...] Things we have called commons, is because they are held in common. And there are all sort of projects starting in where people, even in urban context, manage things as part of the community, and that is far better." But on the other hand, it is also naive to think that you can shape a city these days without private corporations. Ken Livingstone, also used the expertise and financial resources from the corporate world, but as he explains in the documentary, only when they have a long term strategy and balanced their interests with that of the public. With other words, it depends from which perspective you look at it. If you give developers freedom of choice, there probably will be no public space at all. But when these privately owned public spaces are badly designed, when there is a declining quality or the accessibility is at stake, criticism is justified. To avoid this governments should make rules (instead of guidelines) for the benefit of the public about the quality, accessibility and maintenance. In this way POPS can be complementary (not a substitute) to 'normal' public spaces and they can be an enrichment for the city. 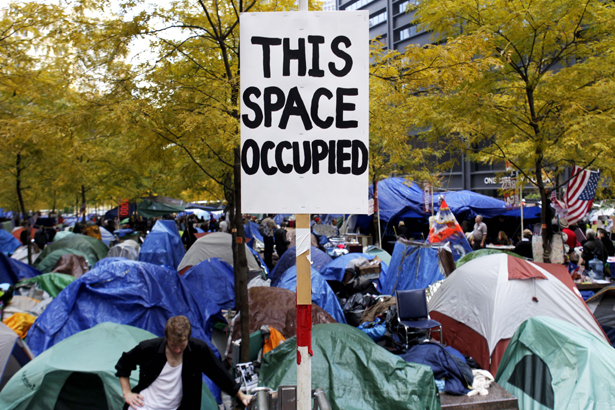 Photo 1 (by MusikAnimal, source WikiMedia) and photo 2 (by AP Photo/Seth Wenigare, source The Nation): Zuccotti Park in New York. This is a 33,000-square-foot (3,100 m2) publicly accessible park in Lower Manhattan, located in a privately owned public space controlled by Brookfield Properties. In 2011, the plaza became the site of the Occupy Wall Street protest camp, during which activists occupied the plaza and used it as a staging ground for their protests throughout Financial District, Manhattan. New York City Police Commissioner Raymond Kelly said that the NYPD could not bar protesters from Zuccotti Park since it is a public plaza. "In building this plaza, there was an agreement it be open 24 hours a day," Kelly said. Other than this requirement, the owners were left to promulgate their own rules; the only limit is that they be “reasonable.” Brookfield’s rules barred skateboarding, in-line skating and bicycling, but said nothing about long-term occupation by any group. New rules were announced during the protest camp: permit passive recreation only and prohibit things like camping and lying down on the ground or benches if it interferes with others. City of Toronto (2014) Privately Owned Publicly-Accessible Spaces. Bradley L Garrett (2015) The privatisation of cities' public spaces is escalating. It is time to take a stand. The Guardian – Cities. The Guardian (2017) Revealed: the insidious creep of pseudo-public space in London. Jerold S. Kayden (2000) Privately Owned Public Space: The New York City Experience. Jerold S. Kayden (2011) Meet Me at the Plaza. The New York Times. Mark Townsend (2016a) Will privatisation of UK cities rip out their hearts? The Guardian – Cities. Mark Townsend (2016b) Will Self joins London ‘mass trespass’ over privatisation of public space. The Guardian – Cities. Susan Wenzlick (2015) Privately-owned public space and the Knights Who Say Ni. Ordinary virtues. I found the discussion on this topic particularly interesting. In my opinion the issue revolves in part around the circumstances by which such spaces were created. If the land on which the space is located was always privately owned - and the developer created it of their own volition without it being an otherwise legitimate requirement of the relevant planning authority and scheme - then I consider they are entitled to place such use restrictions on it as they see fit [provided the use of such space and its adjacent commercial activities - which would benefit from public accessibility of such space - are also approved uses]. If, however, the local authority has granted viable incentives [eg added height or floor space, or a wider range of uses, etc], or public financial contributions or concessions [eg rate reductions] to the developer in return for the creation of the 'public space', then the community is entitled to expect that 'full public use' of the space is paramount.